Planning to elope from the stressful routine and hunting for your next destination? Tour de Kerala, India is the place for you my friend. Though Kerala is termed as a honeymoon destination I would highly recommend it to anyone who wants to simply chill and inhale breath taking scenic beauty. I do love to be in vicinity of nature but for that I cannot go on long treks and hiking thus Kerala suits me perfectly. Reaching to any destination in Kerala takes you through grassy tea plantation mountains. You can take jeep safari onto the hills where you smell fresh filter coffee brewing from colorful homes. The over night house boat stay spruce ups the romantic mood. And when I say romantic mood it is not circumscribed to the young, newly married. We saw many old couples celebrating retirement along with many foreign tourist, preferring Kerala over Goa. HubbynMe had opted for Our Vacations tour of a 5 nights 6 days trip. Check out for trip details here. 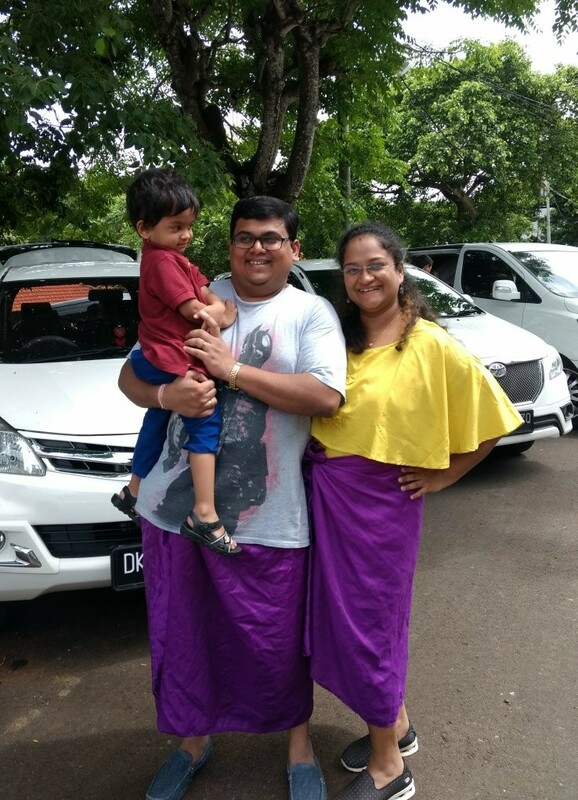 This is our second (honeymoon) tour with Our Vacations first was Thailand and now Kerala, both customized tours for especially for us love birds. The highlight of a custom tour is that you can change the itinerary as you please based on what you want to do cause on a holiday I have many moods, lol. I am very sure you want to make the max out of those 5 days of the year when there is no work, no emails, no phones; Just you and your beloved ones spending time eating and exploring new place and new sides of each other. Munnar -The "tea garden hill station of kerala. On the way visit vallara and cheeyappara waterfalls and Blossom Garden. Evening, enjoy the beauty of tea garden. Overnight stay at the hotel. Sightseeing of Munnar. Visit Eravikulam National Park to view endangered wild goat ' Nilgiri Tahr'. (National Park is Closed during breeding season. Please check with us regarding the visit prior to your arrival). Visit Tea Museum and the Tea factory (Closed on Mondays and Good Friday) , Mattupetty Dam and Kundala Lake.Overnight stay at the hotel. Kumarakom is famous of the popular backwater stretch. Visit the nearest Kumarakom Bird Sanctuary to view the Rare Migratory Bird "Siberian Star crane". Overnight stay at the hotel. We pretty much followed the same but if I had to change anything I would have reduced one night stay at Munnar and stayed on the houseboat for one more night. Still spontaneously you want to explore and need help just ask around. Kerala folks are very friendly and they help so you are never lost.